Flat roofs can suffer several problems, as the experienced team at DPR Roofing (Pontefract) Ltd know only too well. While felt is often chosen as a good low-cost option for a flat roof, it does require constant attention to changes in the condition of the fabric covering, to avoid the potential disaster of sudden leaks. 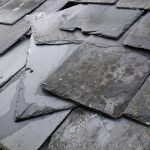 Pontefract roofers DPR Roofing, who provide a first class repair service for flat roof problems within the Pontefract area, identify the top five problems with flat roofs. 1. Installation problems. Although a flat roof is more accessible than a pitched roof, this does not make it any less of a skilled job to install, and poor preparation and fitting at this stage will lead to problems later on. 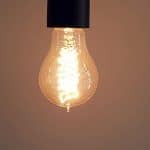 It may seem tempting to tackle the job yourself if felt is the chosen covering, but the importance of competent installation cannot be overstated. DPR Roofing is able to offer a convenient and prompt roofing service for flat roofs in Pontefract to avoid these DIY pitfalls. 2. A flat roof must be installed with a slight slope, minimum gradient 1:40, to facilitate good drainage. This will reduce pooling of surface water, and prolong the life of the roof covering. Any standing water on a flat roof in Pontefract is a reason to call in professional roofing services company DPR Roofing without delay. 3. It is important that a felt roof should be protected by light coloured chippings or solar reflective paint, to reduce the effects of sunlight, which will eventually lead to damage from constant expansion and contraction (or ‘thermal movement’). If the covering is subject to excessive movement, this may lead to creasing, and ultimately cracking, and splits. 4. Felt roofs are prone to ‘blistering’ when a layer of moisture is allowed to penetrate the outer layers of the roof covering. The expansion within this blister caused by sunlight heating the evaporated moisture will lead to stresses and leaks. 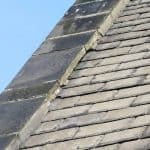 A blister on a flat roof is an indication that a skilled roofer, from local Pontefract roofing company, DPR, should be called out promptly to carry out urgent roof repairs. 5. Walking on a felt-covered flat roof can easily cause punctures. This is particularly problematic if the surface underneath the felt was not perfectly clean and grit free. This type of damage will almost always lead to leaks, and should be referred to DPR Roofing for attention. 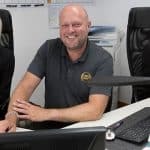 DPR Roofing are aware that looking after a flat roof is an important part of building maintenance, and they are happy to provide advice and information about roof repairs for the Pontefract area. For prompt professional attention to your flat roof from a company with more than 20 years’ experience in this field, call Pontefract roofers, DPR, telephone 01977 220016.